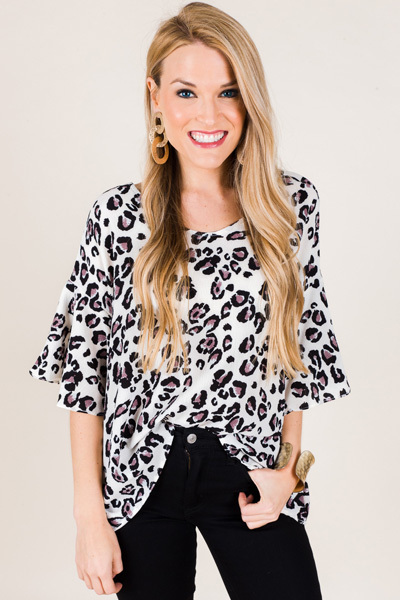 This blouse has big ruffled sleeves, a flowing fit, and the perfect neutral animal print. 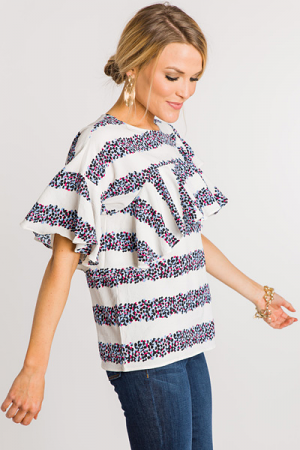 It dips lower on the sides and hides any imperfections, so although it is boxy, it is still flattering! The crepe textured fabric is lightly textured, and offers some stretch. Fit is roomy. Model is wearing size small. Length measures approximately: S=23" M=23.5" L=24"